Our drill pipe slips are applicable to drill pipes from 23/8 to 51/2 inch (60.3-139.7mm) O.D. According to gripping length, they are classified into Short (SDS) type, Medium (SDML) type and Extra Long (SDXL) type. SDS slips are suitable for shallow hole drilling, SDML slips are ideal for all medium depth drilling, and SDXL slips are manufactured for deep drilling. Rugao Yaou Company is a China drill pipe slip manufacturer. We can not only provide quality oil drilling tools, solid control equipment, well cement tools, and workover tools, but also accommodate your OEM requests. Besides, we also offer onsite maintenance, debugging and training services. As a result, we have established long term relationships with customers in brazil, India, America, Russia, Germany, and more. If you are in need of our oil drilling equipment, Please feel free to contact us. Our DCS drill collar slips have three models, which are S, R and L. They can accommodate drill collar from 3 inch (76.2mm) to 14 inch (355.6mm) O.D. Rugao Yaou Company is a major drill collar slip manufacturer in China. Our safety slips are oil drilling tools that are used to handle flush joint pipes and drill collars. 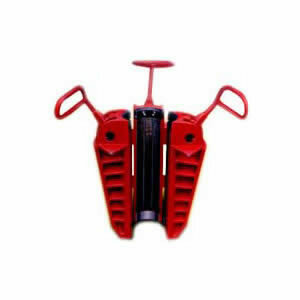 We have two models of drilling safety clamps, which are WA-C and WA-T.